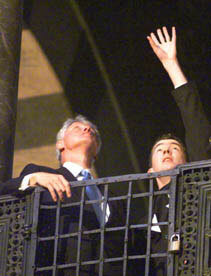 President Clinton tours the Aachen Cathedral in Germany. 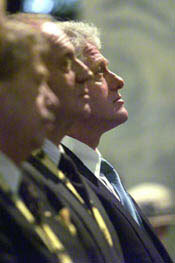 President Vaclav Havel, King Juan Carlos I, and President Clinton attend the prayer service in the Aachen Cathedral. 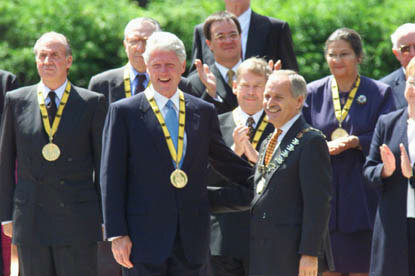 The Charlemagne Prize is presented to President Clinton for his contributions to peace and integration in Europe. 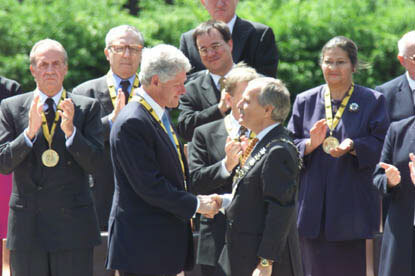 President Clinton shakes hands with Lord Mayor Jurgen Linden after being presented with the Charlemagne Prize. 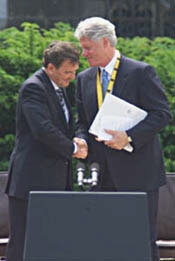 President Clinton shakes hands with German Chancellor Gerhard Schroeder after being presented with the Charlemagne Prize. 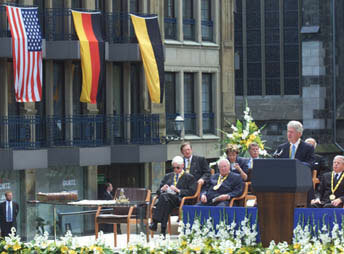 President Clinton addresses the audience after receiving the Charlemagne Prize.